Monthly reports sent by Oxford House to the Mississippi Department of Mental Health continue to raise more questions about the taxpayer-funded homes for recovering alcohol and drug abusers. The nonprofit group sent MDMH a revised report for May that indicated a relapse at the organization’s house in Meridian, which wasn’t on its original report filed for that month. Originally, the report listed no relapses for May at the Meridian house. This would corroborate the testimony of Starkville resident Linda Woods, whose boyfriend lived for two weeks in the Oxford House on Northside Drive in Jackson and two weeks in Meridian, where he relapsed three times before leaving for a residential facility in Texas. Oxford House representatives did not return Mississippi Watchdog’s calls for comment. REVISIONIST: The revised May report from Oxford House (top) and the original May report filed with the Mississippi Department of Mental Health. The original report says two residents were admitted to live in the Northill home with no relapses, while the revised report says three were admitted and there was one relapse. According to MDMH spokesperson Adam Moore, that was the second time Oxford House had to file a revised report with the agency responsible for its administration. Moore said the first was due to a spreadsheet error. “When you look at the misrepresentations, the sloppy monthly reports, when you look at the failure to hold Oxford House to its contractual obligations, it all adds up to a desire to grow and expand at any cost,” said state Sen. Will Longwitz, R-Madison. “They want to increase their size in Mississippi and they’re not interested in the quality of the service they’re providing. Also, the reports indicate the number of residents in its houses is dropping. Only four of 19 Oxford Houses in Mississippi had at least six residents, the minimum required according to Oxford House rules. None of the six houses in the Jackson area meet this requirement. 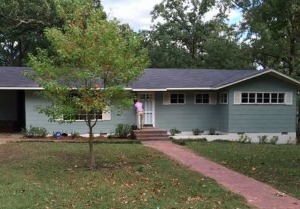 The June report said a house should soon open in Tupelo. According to Oxford House rules, new houses are to be chartered only after existing locations are completely filled. Longwitz addressed these concerns with the Mississippi Board of Mental Health at its monthly meeting Thursday in Ellisville and in a letter to the MDMH’s executive director, Diana Mikula. The nine-member board, appointed by the governor to seven-year terms, acts as the governing body for MDMH, which administers the $1,189,391 grant given last year from the federal Substance Abuse and Mental Health Services Administration. The money goes toward paying Oxford House Inc. outreach coordinators, who are supposed to recruit new residents and oversee the houses. Gov. Phil Bryant has also called on MDMH to cease its funding for Oxford House in a letter sent in May, while Secretary of State Delbert Hosemann has denied Oxford House’s status as a charity.